April 27, 2012 - On Wednesday, Jeffrey B. Guzzetti, the Assistant Inspector General for Aviation and Special Programs testified before the House Aviation Subcommittee regarding the state of aviation safety and the Federal Aviation Administration’s (FAA) oversight of the National Airspace System (NAS) (see report). Specifically, the Assistant Inspector General focused on the FAA’s need for comprehensive data collection and analysis of operational errors and runway incursions, the need to strengthen and better use its risk-based oversight approach and the progress and challenges with implementing mandated safety requirements. Over the past several years, FAA has rolled out several initiatives to enhance the safety of air traffic control operations in the NAS. A top priority for the Agency is to accurately count and identify trends that contribute to separation losses, especially operational errors—events where controllers do not maintain safe separation between aircraft. However, FAA does not report all operational errors recorded by automated detection systems or reported through voluntary reporting systems. 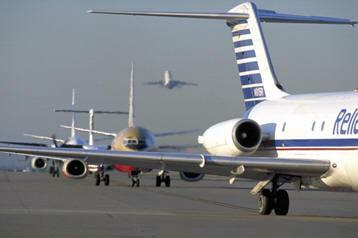 Therefore, the FAA cannot determine whether upward trends in reported operational errors are due to more errors being committed, improved reporting, or both. Additionally, while FAA has made progress in improving runway safety and mitigating the most serious runway incursions over the last decade, this trend began reversing early this fiscal year. Total runway incursions also remained relatively constant over the last few years, even though there were fewer air traffic operations. To ensure that the FAA better tracks safety incidents and mitigates the risks they pose, strong senior-level oversight and accountability will be needed. The FAA is taking important steps to improve safety, such as implementing voluntary safety reporting for controllers, but the Agency has not yet realized the full benefit of these efforts. The FAA will need to ensure that the data are accurate, comprehensive, and effectively analyzed to better identify baselines and safety trends. FAA must also strengthen and better use its risk-based approach for oversight. Finally, while FAA has made progress implementing important mandated safety provisions, the Agency has not implemented other requirements such as improved pilot training standards and a new pilot records database. For the FAA to realize the intended safety benefits of the changes it is implementing, the Agency must address the challenges it faces in gathering reliable safety data and using the data to enhance overall safety.